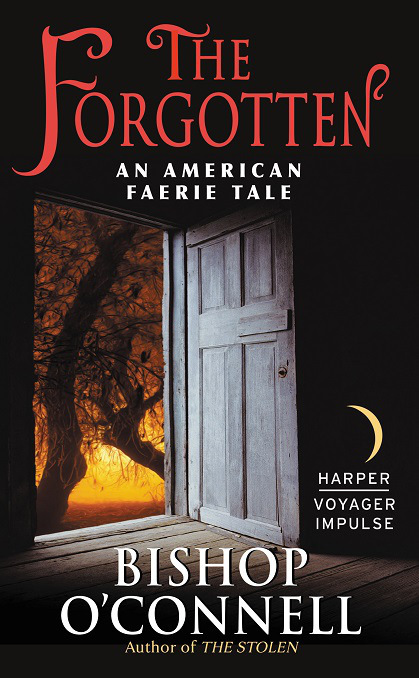 My fellow Harper Voyager Impulse author, and a genuine nice guy to boot, Bishop O'Connell is stopping by today to share an excerpt from his newest work, Three Promises: An American Faerie Tale Collection. This is Bishop's third book, and is a compilation of short stories—technically three short stories and a novella. Bishop is a consultant, writer, blogger, and lover of kilts and beer, as well as a member of the Science Fiction & Fantasy Writers of America. Born in Naples Italy while his father was stationed in Sardinia, Bishop grew up in San Diego, CA where he fell in love with the ocean and fish tacos. While wandering the country for work and school (absolutely not because he was in hiding from mind controlling bunnies), he experienced autumn in New England. Soon after, he settled in Manchester, NH, where he writes, collects swords, revels in his immortality as a critically acclaimed "visionary" of the urban fantasy genre, and is regularly chastised for making up things for his bio. He can also be found online at A Quiet Pint, where he muses philosophical on life, the universe, and everything, as well as various aspects of writing and the road to getting published. While I’ve always struggled with short fiction, that wasn’t the case here. These stories seemed to write themselves, and the characters truly shine. In my previous books, The Stolen and The Forgotten the stories drove the characters. In Three Promises, the opposite is true. There’s no child to rescue, no shadowy enemy snatching kids off the street, and you get to see the characters for who they are. I was worried they wouldn’t stand on their own, but I think they didn’t just stand, they soared I really liked my characters before; now, I love them. I hope you will, too. Elaine stared at the painting. While her body didn’t move, her heart and mind danced in the halls of heaven. The depth and intensity of mortal passion was astounding to her, and her ability to experience it through art was like a drug. The heavy silence that filled her vast loft was broken by the high-pitched whistle of the teakettle. Elaine extricated herself from the old battered chair, which was so comfortable it should be considered a holy relic. She crossed her warehouse flat to the kitchen area, purposely stepping heavily so the old hardwood floor creaked. She smiled at the sound. It was like a whisper that contained all the memories the building had seen. Unlike the fae, the mortal world was constantly aging. But for those who knew how to listen, it sang of a life well lived in every tired sound. The flat took up the entire top floor of a warehouse that had been abandoned in the early 1900s. She owned it now and was its only permanent tenant. The lower floors of the five-story building were offered as a place to stay to the fifties—half-mortal, half-fae street kids, unwelcome in either world—she knew and trusted. But with all the unrest in Seattle, she was currently its only occupant. She turned off the burner and the kettle went quiet. Three teaspoons of her personal tea blend went into the pot. The water, still bubbling, went next. The familiar and comforting aroma filled the air, black tea with whispers of orange blossom. Light poured in from the south-facing wall of floor-to-ceiling windows. But she ignored the view of the Seattle skyline. The twenty-foot ceiling was constructed of heavy wooden beams and slats, broken only by the silver of air ducts, a relatively recent addition. The floor was oak, original to the building but well maintained over the years, as were the exposed bricks of the walls and pillars. The flat was large, 5,000 square feet of open space, sparsely furnished with secondhand pieces. They had been purchased so long ago, they were technically antiques now. But she looked past all that to the paintings that covered the walls, collected over centuries and not always through strictly legal means. Nearly every school was represented by at least one piece. Her eyes followed the heavy strokes of a Van Gogh, thought lost by the general public. The emotions and impressions left behind by the artist washed over her. The melancholy and near madness, the longing and love, all mixed together like the colors of the painting itself. The smell of her tea, now perfectly brewed, broke her reverie. As she poured tea into a large clay mug, her gaze settled on a Rossetti. Elaine smiled as she remembered seeing the painting come to life. Gabriel Rossetti—Elaine could never bring herself to think of him as Dante, it was such an absurd name—had captured Jane’s beauty spectacularly. Jane Morris had been a truly beautiful mortal; it was no wonder Gabriel so often chose her as a model. Elaine carried the mug back to her chair, sank into the plush cushions, and hit play on the remote. Vivaldi’s Cello Concerto no. 4 in A Minor filled the space. She closed her eyes, letting the music fill her soul. The mournful cello danced with the playful harpsichord. She sipped her tea, opened her eyes, and her gaze fell upon another painting, the one she’d almost lost. Unwanted memories rose to the surface—and just like that, she was back in France, deep in the occupied zone. Even now she could almost hear the voices of her long-dead friends. There were snickers from the collection of men, scarcely more than boys, gathered around the table and map. François turned a little pink, then a deeper red when the chuckles turned on him. When Paul offered him the bottle of wine, François’s smile returned, and he laughed as well. “Our little sparrow misses nothing, no?” he asked, then took a swallow of wine before offering her the bottle. Six hours later, just before dawn, the explosives had been set and the group was in position. She sat high in a tree, her rifle held close. Despite having cast a charm to turn the iron into innocuous fae iron (a taxing process that had taken her the better part of three weeks), she still wore gloves. On more than one occasion she’d had to use another weapon, one that hadn’t been magically treated. As the first rays of dawn touched her cheeks, she had only a moment to savor the sublime joy of the morning light. Her keen eyes picked up the telltale clouds of black diesel smoke before she ever saw the vehicles. She made a sparrow call, alerting her fellow resistance fighters. Elaine hefted her rifle and sighted down the barrel, her fingertip caressing the trigger. She watched the rise, waiting for the first truck to come into view. Her eyes went wide and her stomach twisted when she saw the two Hanomags, armored halftrack personnel carriers, leading the three big trucks. That was two units, more than twenty soldiers. She made another birdcall, a nightingale, the signal to abort. The thrush call came in reply, repeated twice. Proceed. She sighted down the rifle again and slowed her breathing. They were outnumbered almost three to one and up against armor with nothing but rifles and a few grenades. “Just an afternoon walk along the Seine,” she said. Of course Germany now controlled Paris and the Seine, so maybe it was an accurate comparison. The caravan crawled down the muddy road, inching closer to the bridge. Looking through the scope, she watched the gunner on the lead Hanomag. His head was on a swivel, constantly looking one way then another. Not that she could blame him. This was a textbook place for an ambush. The first Hanomag stopped just shy of the explosive charges. An officer in the black uniform of the SS stepped out of the second Hanomag, flanked by half a dozen regular army soldiers. Elaine sighted him with her scope, noted her heartbeat, and placed her finger on the trigger. The tingle of magic danced across her skin as the officer drew a talisman from under his coat. “Offenbaren sich!” he shouted. There was a gust of wind, and the leaves on the trees near her rustled. She whispered a charm and felt it come up just as the magic reached her. The spell slid over her harmlessly. Her friends weren’t so lucky. A red glow pulsed from the spot where the explosives had been set, and faint pinkish light shone from six spots around the convoy. “Aus dem Hinterhalt überfallen!” the officer shouted and pointed to the lights. The gunners on the Hanomags turned and the soldiers protecting the officer took aim. “Merde,” Elaine cursed, then sighted and fired. There was a crack, and the officer’s face was a red mist. Soldiers poured from the trucks and the Hanomags, the gunners turned their MG-42s toward the now-fading lights marking François and the others. The soldiers took cover behind the armored vehicles and divided their fire between her and her compatriots. She was well concealed, so most of the shots did nothing more than send shredded leaves and bark through the air. Only a few smacked close enough to cause her unease. Elaine ignored them and sighted one of the MG-42 gunners. “Vive la France!” someone shouted. Elaine looked up just in time to see Paul leap from cover and charge at the soldiers, drawing their attention and fire. She watched in horror as the Nazi guns tore him to shreds. Somehow, before falling, he lobbed two grenades into one of the armored vehicles. There came a shout of panic from inside the Hanomag and seconds later came two concussive booms. Debris flew up from the open top of the halftrack and the shouts stopped. François and the others took advantage of Paul’s sacrifice, moved to different cover, and started firing. A few Nazi soldiers dropped, but the remaining MG-42 began spraying the area with a hail of bullets. Elaine gritted her teeth and fired two shots; both hit the gunner, and he fell. This again drew fire in her direction. The fight became a blur after that. She took aim and fired, took aim and fired, over and over again, pausing only long enough to reload. It wasn’t until she couldn’t find another target that Elaine realized it was done, and all the Nazis were dead or dying. She lay on the branch for a long moment, until the ringing in her ears began to fade. When she moved, a sharp pain in her shoulder brought her up short. More gingerly, she shifted and saw tendrils of white light filled with motes of green drifting from her shoulder. At the center was a growing blossom of gold blood. She rolled and dropped from the tree, landing only slightly less gracefully than normal. Still, the jolt made the pain jump a few numbers on the intensity scale. She clenched her jaw, hefted her rifle, and carefully inspected the scene. The Germans were all dead, but the driver of one of the Hanomags was still alive. He took a couple shots at her with his Luger, but he’d apparently caught some ricochets or shrapnel because he didn’t even come close. Elaine put him down with a shot through the viewing port. “Please, help me,” someone said in bad French. Elaine spun to see a German soldier lying on the ground. He was little more than a kid, maybe sixteen; it didn’t even look like he’d started shaving. She just stared at his tear-filled eyes, blood running down his cheek from the corner of his mouth. He had at least half a dozen holes in his chest. He was already dead, he just didn’t know it. His thanks were swallowed by the loud report of the rifle as she put a bullet between his eyes. There was nothing she, or anyone else, could’ve done for him. She wiped tears away and muttered a curse at Hitler and his megalomaniacal plans. After double-checking that all the soldiers were dead, Elaine made her sparrow call. Her mouth was so dry, the call was hardly recognizable. Swallowing, she hardened her heart and went to where François and the others had been taking cover. She couldn’t bring herself to look down at the bloodied mess that had been Paul. She just kept walking. Her rifle fell to the ground, then she went to her knees, sobbing, covering her mouth with her good hand. They were dead, which wasn’t a surprise, but it didn’t make finding them any less heartbreaking. Rémy was almost unrecognizable. If it wasn’t for his blond hair, now matted with blood—Elaine’s stomach twisted and she retched to one side. Michel, Julien, Daniel, Christophe, and Christian were in slightly better shape, for the most part. Julien’s left arm had been chewed up by the machine gun, and Christophe’s torso had been ripped open, allowing his insides to spill out. Elaine sobbed and turned to François. His rifle had been discarded and his pistol was still clutched in his left hand, two fingers having been shot off his right. Sadness mixed with anger, and she screamed curses at him. It wasn’t long before Elaine grew numb inside. She used her fae healer’s kit to remove the bullet from her shoulder, and a liberal smearing of healing ointment numbed the pain enough to give her almost full use of her arm again. Lastly, she set the pinkish, putty-like dóú craiceann over the wound, sealing it like a second skin. She’d never been much of a healer herself, but she got the job done. With effort, and still careful of her wounded shoulder, she dragged Paul into the cover to join his brothers-in-arms. Elaine whispered a charm and the earth drew itself up and over her friends. A moment later, lush green grass covered the seven mounds. “Adieu, mes amis,” she said softly. The ebook is only $0.99 (and how can you not buy a $0.99 book? ), but if you preorder the paperback (releases 1/8/16 and is only $3.99) from The Fountain Bookstore, not only will it be signed, but you’ll get an exclusive gift. 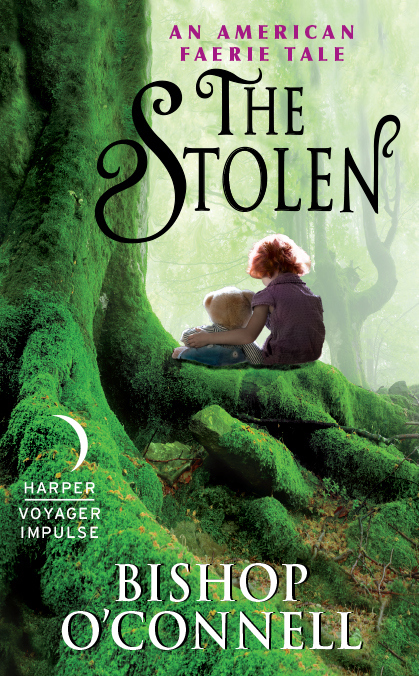 As a nice bonus, you can also order signed copies of The Stolen and The Forgotten while you’re there, and don’t worry, they ship worldwide.